Summer has finally arrived! We all love spending time outdoors with friends and family: playing football in the park, going for a bike ride or enjoying a long walk. 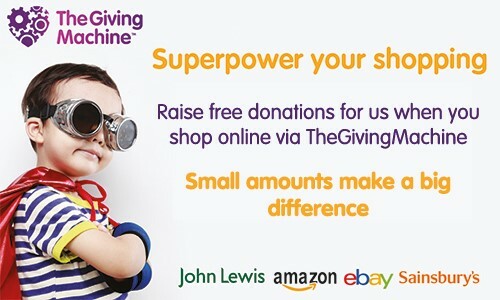 Click via www.TheGivingMachine.co.uk when shopping online for that new football, faster bike or those comfy walking boots and raise FREE donations for our cause at the same time.